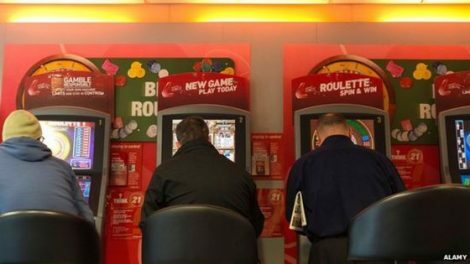 The Welsh Government is currently seeking responsibility to govern the regulations which surround the high-staked Fixed-Odds Betting Terminals, which have taken control of Westminster after they issued an additional amendment to the Wales Bill. I am from Wales. Moreover, unlike most American poker dealers think, it is not part of London; it is two hours away. If you are an astronaut, who is working on the International Space Station, then you can see my country, it is the one which looks like a pig’s head. Since 1999 it has been a country with its government, and they will be handed down the powers to manage the problem with the FOTB machines. The overall responsibility for the gambling regulation lies in the place in which Guy Fawkes could not blow to smithereens in 1605. Even though in the past several years the powers to manage the regulation concerning the high-staked FOTB machines was in the hands of the Scottish Parliament, the Welsh also have their Oliver-styled begging bowls, and they certainly have been asking for the same luxury. During the last month, Carolyn Harris, the Swansea East MP told BBC that the Fixed-odds betting terminals could take £100 every 20 seconds, which means that they can take £300 in a single minute. She stated that these machines do not give the gambler the opportunity to stop and realise what is happening. However, Lord Griffiths of Burry Port said that there is no empirical evidence about the amount of money these terminals generate, as well as if they do in fact cause any issues.